November 24, 2017 – Arlington, Virginia. Elite Contractor Services, a family-owned and run home remodeling contractor focused on Northern Virginia cities such as Arlington and Vienna, Virginia, is proud to announce a new blog post. The post overviews the advantages of attic conversion using a professional contractor. To review Elite Contractors’ new blog post for attic remodeling in Arlington, Virginia, please visit the website. Helpful details about attic conversions can be looked over. Many remodel alternatives can be found. An attic may be easily renovated to become a room for guests, crafts, playroom or music. To learn more about Vienna and Arlington home remodeling projects, visit those pages as well. Here is background on this release. In older Virginia homes, small unused attics can be considered wasted space. The new post helps homeowners consider the possibilities of an attic remodel and how it may improve life at home. The current tiny home movement may have encouraged a trend among other types of homeowners. Taking full advantage of each space in a dwelling can help to solve a variety of problems. A family member working from home may feel distracted trying to answer work emails in the dining room. A budding musician may be a nuisance to the neighborhood playing drums in the garage. Occupants searching for a home office or a sound-insulated music room may need to look no further than upstairs. An attic remodeling could provide a comfortable spot for specific family members and improve the quality of life for the entire home. For these reasons, Elite Contractor Services has recently released a new blog post highlighting options for an attic conversion. A small attic may be considered underused space for many homeowners in Northern Virginia communities such as Arlington, Alexandria, and even Fairfax. The new blog post can offer several options for repurposing an attic into a dream room. Attic remodeling idea might include; home office, crafting room, playroom or music area. Homeowners requiring a spot for visitors could convert an attic into a cozy room for overnight guests. A remodeled attic may also increase the overall value of a house. Vienna, Virginia residents may be ready to consider the options for turning an underused area in the house into a useful spot. A top Arlington, Virginia contractor can be found to manage an attic remodeling project and turn a wasted space into a purposeful dream room. Elite Contractor Services is a family owned home remodeling company serving cities as diverse as Vienna and Alexandria Virginia, Washington DC and Bethesda Maryland as well as Falls Church home remodeling contractor services. Persons looking for a top remodeling contractor for a home remodel or attic remodel, can reach out for a no obligation consultation. The company consists of expert contractors for kitchen remodels, home remodels or additions, and even specific jobs such as basement remodels or attic additions. 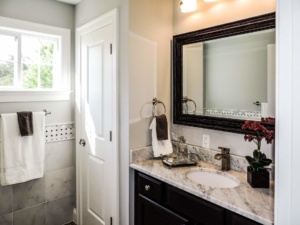 The company aims to be one of the best, top-rated remodeling companies and remodeling contractors in communities as diverse as Arlington or Fairfax, Herndon, Alexandria or Washington DC or up to Vienna, Fairfax County or even Rockville, MD.